Siena College Poll: By a wide margin, 57-25 percent, likely voters say they will vote ‘no’ on the Constitutional Convention proposal on next week’s ballot. By a similar 60-29 percent margin, likely voters say it ‘will be an expensive waste of time,’ rather than a ‘once in a generation opportunity to bring our State Constitution into the 21st Century,’ according to a new Siena College Poll of likely 2017 New York State voters released today. More than one-third of likely voters say they’ve heard or read a great deal about ConCon and another 27 percent say they’ve read or heard some. Only 19 percent say they’ve read or heard nothing about ConCon. The proposed constitutional amendment on the ballot related to pension forfeiture for public officers convicted of felonies related to their official duties has overwhelming support, 82-14 percent, including at least 76 percent support from every region and party. The amendment related to the land bank for the Adirondacks and Catskills is supported 46-35 percent, with support from a plurality of voters from every region and party. Baruch College Poll: New York State registered voters were queried on 13 issues whether the issue would be a reason to vote 1. 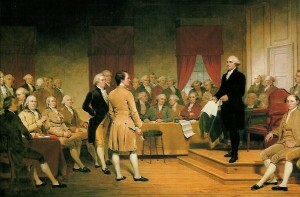 For a Constitutional convention, 2. Against a Constitutional Convention, 3. Or the issue was not a reason to vote either way. When asked initially, “based on what you know now, if the referendum [on a Constitutional Convention] were held today” would they vote for it, against it, or not vote for the referendum at all, one third –32% — of NYS registered voters said they’d vote for, 27% would vote against. Nearly two in 10 (18%) registered voters initially said they wouldn’t vote on Constitutional Convention at all, while 21% weren’t sure. After hearing about some of the issues that might be considered at a Constitutional Convention, a majority of NYS registered voters – 55% — now favored voting for a Constitutional convention, while 21% were against; 14% would not vote on a Convention, and 10% weren’t sure. Thus, after considering this list of some of the possible impacts of a Convention, NYS registered voters increased their support of a Constitutional Convention from 32% to 55%– from about one-third to more than one-half. A majority – 56% — of New York State registered voters have neither heard nor read about the proposed referendum calling for a Constitutional Convention which will be on the ballot on November 7, 2017; 42% have heard or read something about the proposed referendum. Detailed poll results here. Siena College Poll: By a narrow 44-39 percent margin, registered voters say they will vote ‘yes’ to support a Constitutional Convention on election day next month, down from 45-33 percent in September. While 44 percent say it’s a “once in a generation opportunity to bring our State Constitution into the 21st Century,” 45 percent say it “will be an expensive waste of time,” according to a new Siena College Poll of New York State registered voters released today. Seven of nine potential issues tested that could be discussed at a Constitutional Convention enjoy overwhelming public support. Siena College Poll: “One-fifth of voters – up from 14 percent – have read or heard at least some about the ConCon vote in November, however, 58 percent – down from 67 percent – still say they’ve heard nothing,” Greenberg said. Siena College Poll: “Two-thirds of New Yorkers have heard ‘nothing at all’ about the November vote on a State Constitutional Convention, and only 14 percent have heard a great deal or some about it, virtually unchanged from May, and comparable to what it’s been for the last two years,” Greenberg said. “In previous Siena College polls, support for ConCon has been overwhelming, including a 62-22 percent bulge in May. Now, however, with a newly worded question which includes what voters will see on the November ballot, support for ConCon is only 47-34 percent. A strong majority of Democrats and a plurality of independents support it, while a plurality of Republicans opposes it. A plurality of voters from every region of the state also support it,” Greenberg said. 68 – 27 percent support for an amendment to guarantee a woman’s right to an abortion. Marist Poll: “68% of registered voters statewide think the way things are done in state government in Albany needs major changes. 21% report daily political operations require minor changes, 10% think they are broken and beyond repair, and only 1% of voters say they do not need to be changed. More than seven in ten Democrats and Republicans — 71% and 70%, respectively — think Albany needs a major, political overhaul. 60% of non-enrolled voters agree. However, when it comes to whether a constitutional convention should be held to propose changes to New York State’s government, a plurality does not want one. 48% oppose such a gathering while 42% support it. More Republicans than Democrats disagree with this suggestion. 56% of members of the New York GOP and 44% of Democrats think this is a bad idea. In fact, Democrats divide with 45% supporting the proposal. Non-enrolled voters also divide on this issue with 46% against it and 44% for it.” A detailed demographic breakdown can be found here. Quinnipiac University Poll: “New York State government is dysfunctional, voters say 77 – 19 percent, and 58 percent say it is ‘the worst’ or ‘among the worst’ in the nation, according to a Quinnipiac University poll released today. Only 2 percent say New York has the ‘best’ state government in the nation, while 28 percent say ‘among the best’…. By a 64 – 24 percent margin, voters say there should be a state Constitutional Convention to reform New York State government. Voters support 54 – 37 percent amending the State Constitution so the Governor can name a Lieutenant Governor when that position is vacant. Voters also support 70 – 21 percent creating a commission independent of the State Legislature to redraw legislative district lines. ‘Dysfunctional is practically a synonym for the New York State Legislature and voters want a change,’ said Maurice Carroll, director of the Quinnipiac University Polling Institute. Measuring Illegal and Legal Corruption in American States:Some Results from the 2015 Corruption in America Survey by Oguzhan Dincer and Michael Johnston, Illinois State University. Among the fifty U.S. states, New York ranks in the top six for worst illegal corruption in the state legislature and top nine for worst legal corruption in the state legislature. Initial research for the survey was conducted while the scholars were fellows at the Edmond J. Safra Center for Ethics at Harvard University. Siena College Poll: Eighty-nine percent of New Yorkers say corruption in state government in Albany is a serious problem – 53 percent call it very serious – and two-thirds say corruption is a serious problem among legislators from their area. Siena College Poll: Nine in ten New Yorkers continues to say that corruption in Albany is a serious problem…. The State Assembly is viewed favorably by 33 percent and unfavorably by 49 percent of voters (down from 36-44 percent in October). The Senate has a slightly better 38-47 percent favorability rating (down from 42-42 percent in October). “Whether it’s the recent trials and convictions of former legislative leaders or some other reason, New Yorkers have an unfavorable view of both legislative house,” Greenberg said. Covered in the New York Times. Quinnipiac University Poll: Only 26 percent of New York State voters think current state officials “are capable of ending political corruption in Albany,” while 56 percent say, “all current elected officials should be voted out of office so new officials can start with a clean slate.” No party, gender, age or regional group thinks current officials can end political corruption. Quinnipiac University Poll: All elected officials in Albany should be voted out of office so new officials can start with a clean slate, voters say 55 – 28 percent. No party, gender, age or regional group thinks New York State elected officials are capable of ending political corruption in Albany. Covered in New York Post. % of New Yorkers supporting a call for a state constitutional convention, October 6, 2017.